Plus size juniors can find many clothing options that are not only affordable, but also stylish and fun to wear. Clothes that are cheap in price do not have to look poorly made or out of season. The Old Navy plus size line, which is available exclusively online, features sizes ranging from 16 to 30 and 1X to 4X. Though plus size items are not sold in Old Navy retail locations, the styles are the same as those found in regular sizes. According to review on SheSpeaks, the plus size fashions at Old Navy are ideal for juniors. Reviewers indicate that the clothing is affordably priced, stylish, age-appropriate and holds up well, though a few express concerns about inconsistent sizing. To save even more at Old Navy, register for the mailing list to receive special savings and promotions. The sign-up is found at the bottom of each page of the company's website and requires a valid email address and your name. Don't forget to check out the sale section on the online site, where you can often find great savings on a wide range of items. Online orders over $50 qualify for free shipping. Returns are always free. Walmart has an extensive selection of plus size fashions appropriate for teens. You can find items both online and at retail locations. For a low price, juniors who wear sizes XL to 4XL can find the latest fashions as well as classic pieces. Product reviews on Walmart.com often describe the clothing as roomy and generous in size. Many customers have ordered a size smaller if the item appears to be oversized or looser in fit. Walmart offers shipping for 97 cents and has a 90 day return policy. eVogues is a great online shop that specializes in stylish, trendy pieces for plus size juniors at low prices. Clothing comes in sizes XL to 5XL. Customers who have purchased from the site rave about the great fit of the clothing, as well as how the styles are flattering to those with fuller figures. You can check out comments from customers at the bottom of the pages for particular items to see how others have rated them. In addition to shopping the latest fashions, you can also check out the sale and inventory clearance sections to take advantage of even greater savings. Flat rate shipping is available for $8 and free ground shipping is offered on order of $150 and more. You can returns items within 30 days from the original order date. 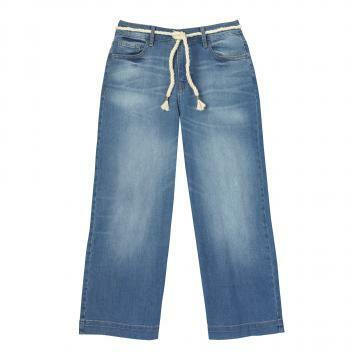 Juniors looking for cute plus size clothing can find a range of options at cheap prices. Whether you are looking for a few trendy items to add to your existing wardrobe or just need some classic staples, you can shop the many options either online or at a retail location for clothing that won't break your wallet but will still look great.